The wanderlust Cinghiale has brought us to the southern area of Cilento— a region of Campania composed of rugged coastline overlooking the Tyrrhenian sea and the largest national park that spans from the coast to interior mountains. Thanks to this unique composition the terrain has been preserved from overdevelopment and provides a rich and varied mediterranean-to-mountain culture to explore. We’ll spend equal time considering the local cuisine (world famous mozzarella!) and the meandering roads. We will pass the tour in three different locations of the Cilento area. The first two nights we will spend in Paestum near the coast and next to the ancient greek temples, and a short jaunt to a favorite of the many buffalo mozzarella producers. The following two nights we will find ourselves deep inland to explore the tranquility of the national park and experience the unrelenting friendliness of the locals. Our longest riding day will bring us to the coast of Marina di Camerota for the remaining four nights. Here we will rest for a day with a boat adventure to explore the pristine sea environment. Loop rides from here will take us over gentle climbs with spectacular views down to the sea, to an abandoned village, and into the Basilicata region to tag the town of Sapri. Cyclists who love to travel and get off the beaten path. Nothing but hills are on our routes over ancient roads that rarely get very steep. 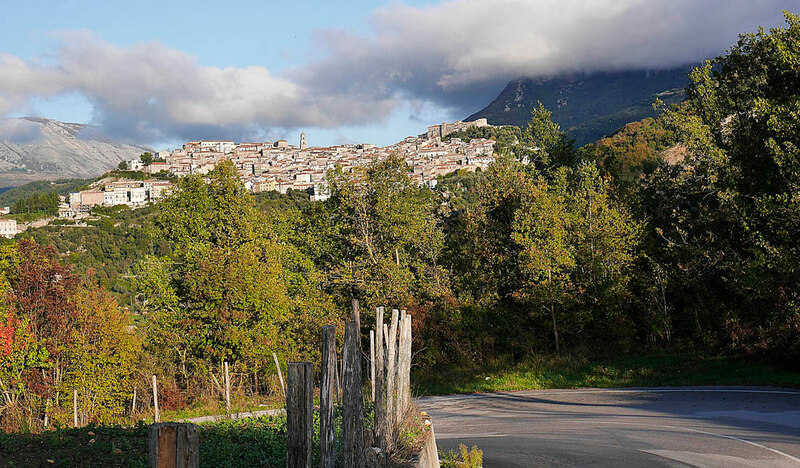 This is a giro-style tour designed for ultimate cultural experience of Cilento. We will be cycling our three transfer days and sampling everything delicious along the way. Be fit but not in a hurry, there are so many natural and historic sights to see here that we will let the days come to us rather than hurry along. This tour is not well suited for non-riders because of the twisting nature of the roads on our 2 transfer days. However, we consider the sights and experiences on this trip to be extraordinary, so write us if you are interested and we will discuss if this tour would suit you. 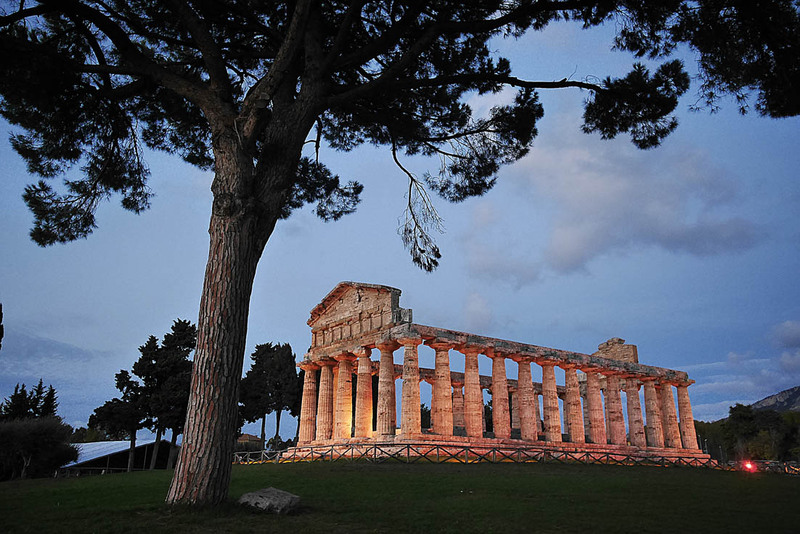 Paestum is an area of the ancient Greek ruins called Magna Greca. Poseidonia was it’s tag back then, and the land was fertile and people have been loving the land since then. Parco Nazionale del Cilento, Vallo di Diano e Alburni is where we will do most of our rides. This park has villages and farms in it, but is free of further development. We will be ready to meet the locals at our cafe stops and sample the seasonal delights offered by the farms. The Tyrrhenian sea and the town of Marina di Camerota is where we will spend the last half of the tour. Here tuna fishing was king until the 20th century, and now tourism pays the bills. We will enjoy the tail end of the beach season, swimming, and exploring the coast. The tour begins with transportation from Naples at a centrally located hotel to be determined, and ends with transportation to Naples airport (NAP) or a local train station. Flights should be scheduled in/out of Naples (NAP). Flight connections in Europe tend to leave early via Munich, so you may need to arrive a day early to make our pick up time of 10:00. Departing flights should be scheduled after 2:00pm on Oct 6th. Pick-up: 10:00 Saturday, September 28th in Naples at a hotel tbd. Drop off: Noon on Sunday, Oct 6th to the Naples hotel tbd or the nearby Centola train station.